This year’s model adds two more trim styles for the LE and XLE models and an eighth seat. It’s extremely spacious interior meets the needs of any family. Whether it means hauling many passengers or carrying a great deal of cargo, this model aims to please. This year also marks a considerable update for the model. The base Highlander offers three rows of seating with a second row bench seat and capacity for 8 passengers. Second row captain’s chairs are available as an option, which reduce the capacity to 7. As with many other SUVs in this class, there are some concerns that there isn’t much room for adults in the third row. Children will be comfortable on longer trips, but there isn’t a whole lot of legroom. This bench seat can be removed if needed to increase cargo space. The LE and XLE versions sport new styles for this year. Both editions swap out the back row bench seat for two bucket seats instead. The front seats are power adjustable, and both versions have to slide and reclining second and third-row seats. Prices for this model range from as low as $36,270 and go as high as $47,880. The LE trim starts at $41,330 and comes with more safety technology. Some of these features include rearview cameras and parking assist. It includes other upgrades in the cabin as well. Leather trims seats for the first and second rows, and leatherette exists in the third-row seats. The XLE edition offers the same items as the LE version. However, it also boasts navigation with an eight-inch, touch-screen display with satellite radio. This radio also features HD capabilities. The Driver Easy Speak software offers comfortable to use that is easy to acclimate to as well. It has intercoms in the first row and the rear seats for easy use and communication. There is also a moonroof and a liftgate that is height adjustable. Most interior controls are easy to find and even easier to use, but some drivers might find that the audio system can be quite a stretch to reach. Unfortunately, some customers have found that seating for the second and third rows can be tight, especially in the third row. Small children are likely the only ones who will be able to sit in the rear seat with comfort. It offers less legroom than similar models, including the Honda Pilot, the Kia Sorento, and the Dodge Durango. The third row can be difficult to reach, regardless of the second row being a bench or bucket seats. Thankfully, the doors are large, which means moving between in and out of them and in and out of the seats is rather easy. The standard editions come with a V6 AWD as the standard option. The engine puts out 360 horsepower at 5,800. The torque sees 215 at 4,800. All three options also see about 29 miles per gallon in the city and 27 miles per gallon on the highway. The engine works both on gas and electric and is set at 3.5 liters. The engine is rather powerful, and it offers fast acceleration with ease. Furthermore, its fuel economy is impressive, but there is a chance that buyers will not see a lot of return on the price they pay in comparison to the money they will see in total gas savings. The fuel economy is better than models from previous years, though. There are at least two to three points gained for both miles per gallon used in the city and on the highway. Much of this technology comes as a preference for many consumers. The new technology makes it as safe as possible for long, over the road trips with the family. Toyota does its best to make passengers and drivers feel as safe and as comfortable as possible. It puts many drivers and passengers at ease during the driving experience because of the many safety precautions and accident avoidance measures it contains. As a matter of fact, the Toyota Safety sense suite comes standard the lower-priced models and the more luxurious versions. The system is also sensitive enough to know when the driver pushes it too hard. The AWD that comes standard makes for comfortable driving and stable handling on the driver’s part. It goes over bumps in the pavement with ease and without disrupting passengers too much. It fairs well over most types of road surfaces, which other vehicle makes and models struggle to achieve in recent years. The size of the vehicle is not overpowering for drivers. It makes for a comfortable driving experience overall. Considering how many people it can seat, the size is rather impressive. Unfortunately, the acceleration for the Hybrid model over the standard model is not as strong. It is acceptable for most Hybrid expectations, though. Emergency braking is effective, but some consumers report concerns with an awkward feeling when acclimating to the pedal itself. Going off-road is quite the experience as well. The AWD system is a little different than others because the rear wheels are powered by a separate electric motor. It has eight inches of ground clearance overall, meaning that it handles ascending and descending hills rather well. The 2017 Toyota Highlander Hybrid offers a lot of features that are similar to its competitors, and it is better than those competitors in some aspects, especially given economic gas consumption and the comfortability of the AWD system. However, the only great asset to this model is how environmentally friendly it happens to be. So far, the model seems to be rather reliable as there have yet to be any noted recalls for it. This model is a good choice for large families or for drivers who experience travel with a lot of passengers. It is ideal for comfortable travel on various types of roads, and when compared to the price paid, the safety features can hardly be matched. 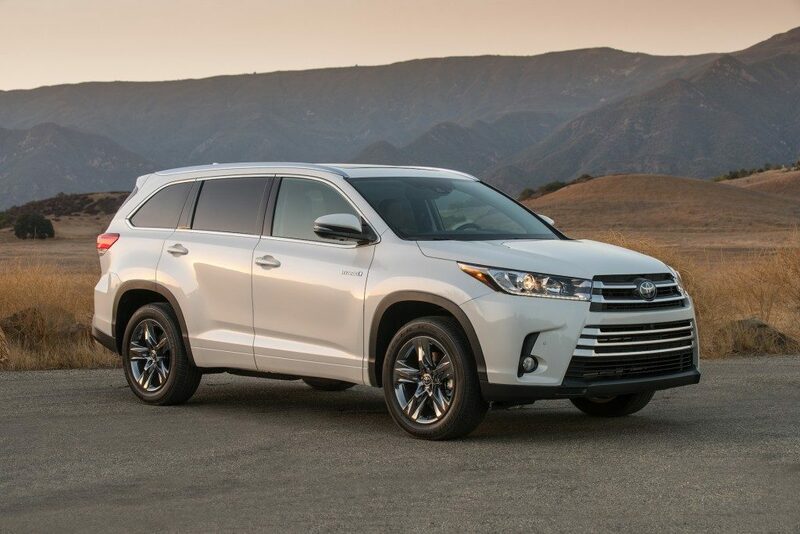 Thinking of buying a Toyota Highlander Hybrid? Already own one? Leave a comment and let us know what you think!